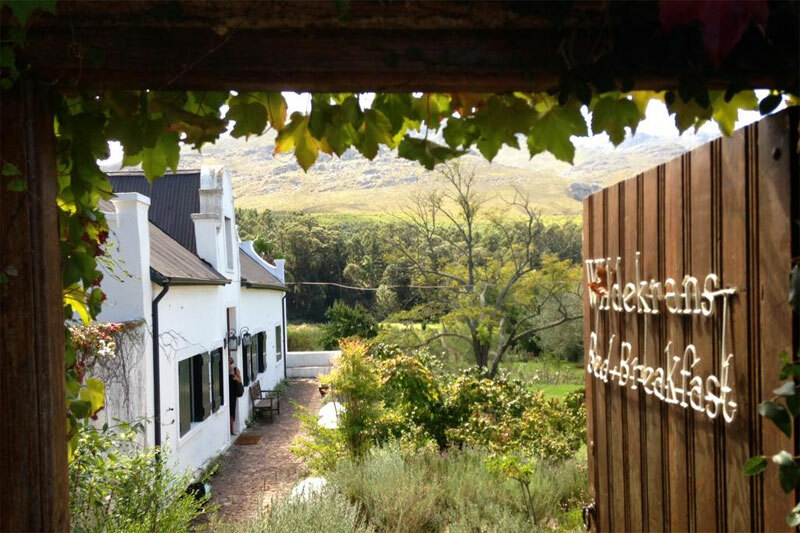 The best places to stay in the Overberg … You may hear the Overberg region of South Africa, just east of Cape Town and over the mountains, described as the gateway to the Garden Route. But you’d be remiss if you think this makes the Overberg undeserved, or any less beautiful, than its counterpart further up the east coast. 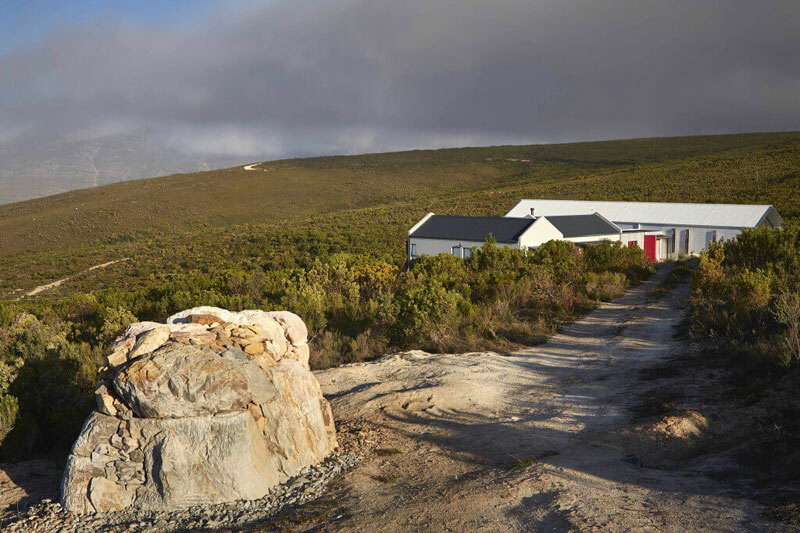 For the Overberg is wheat fields, blue-crane filled, blue skied and heady with the smells and sounds of the outdoors, small-town living, and seaside romance. 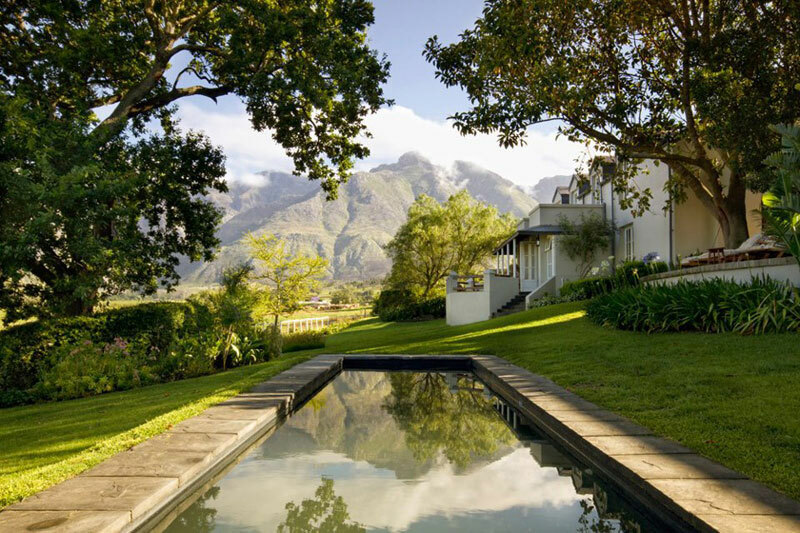 If you’re not staying on a mountain enfolded farm in restored dairies and barns then you’re heading for pebble strewn beaches, cliffside homes, guest houses with views or self-catering villas decorated with care. 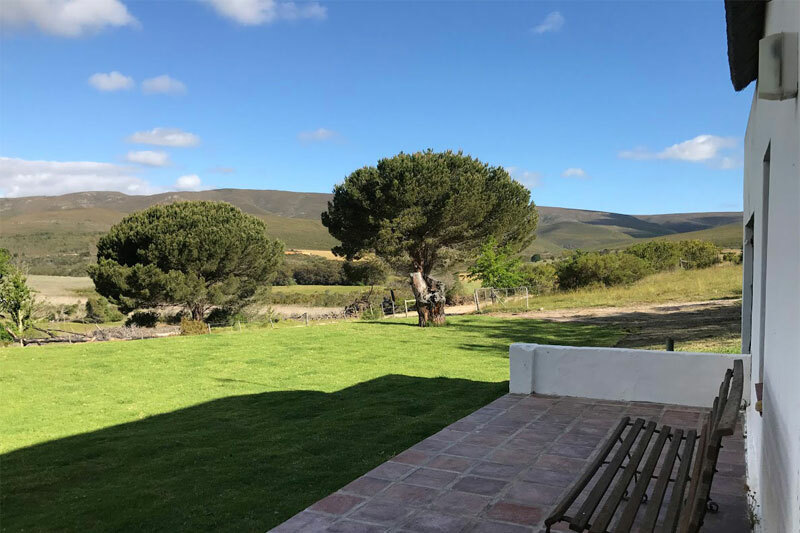 This 40 hectare fynbos estate just outside the weekend town of Stanford offers a modern rendition of farm living in two double bedrooms with en-suite bathrooms. Even the communal spaces in this best places to stay in the Overberg hold an appeal – leather couches, modern art and the invitation to sit awhile. This offbeat hotel just off the main drag of Barrydale on Route 62, the Langeberg your backdrop, is difficult to pass over. This funky hotel works perfectly for bigger gatherings as there are only 15 rooms. 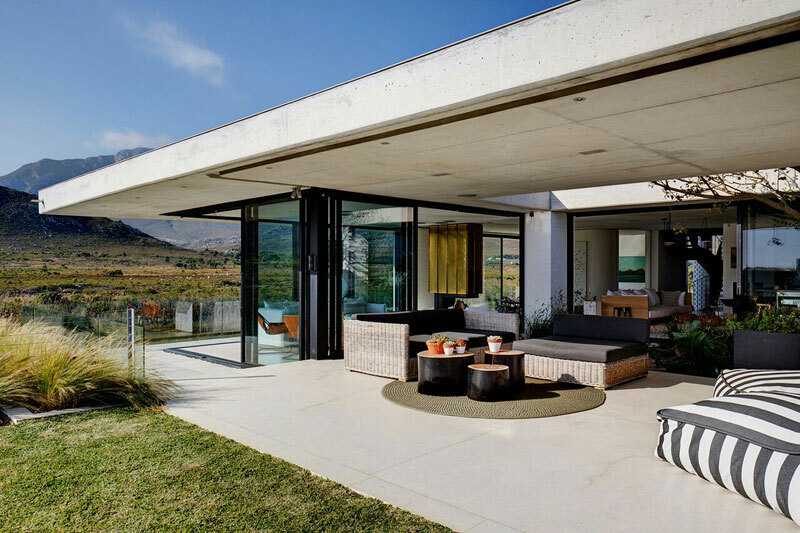 This simply ‘wow’ contemporary retreat in Pringle Bay lies on the Buffels River with both mountain and sea views – you’re only a few minutes’ walk from the beach. 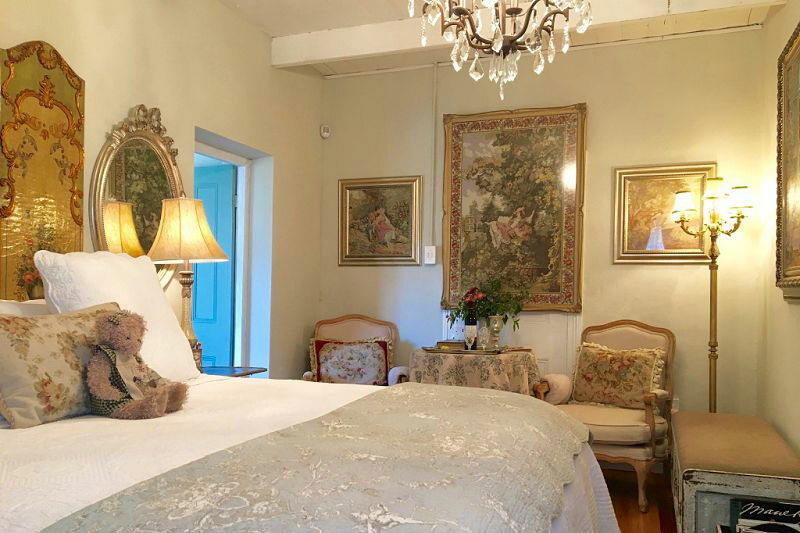 If Victorian is your style then you’re going to be in vintage heaven in either of the luxury suites of this best places to stay in the Overberg – Le Boulevard and Le Jardin. To add further pleasure there’s a décor shop alongside filled with gift ideas and other vintage items. 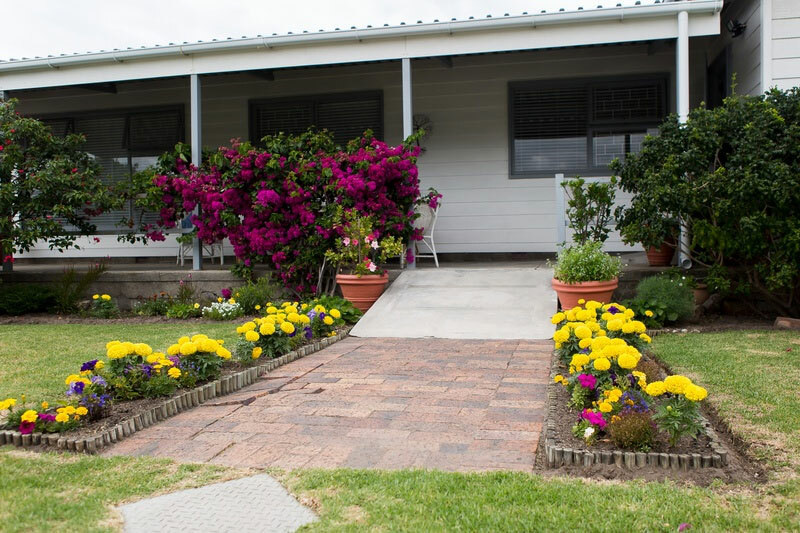 Choose from a rustic or garden cottage, or a beautiful suite, on this farmstay in the Heritage Valley a short walk from the village of Swellendam. The gardens and views alone are worth a stay, but you’ll love the fine touches of the décor as well. 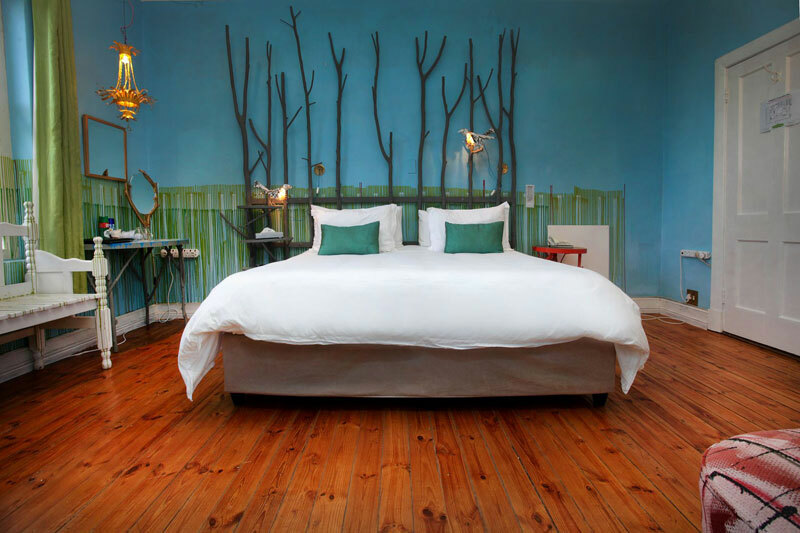 This impeccably decorated tasteful guest house lies virtually 200 steps from the beach surrounded by fynbos gardens. There are only three en-suite bedrooms each with its own private patio garden that offers complete privacy. Perfect for couples. 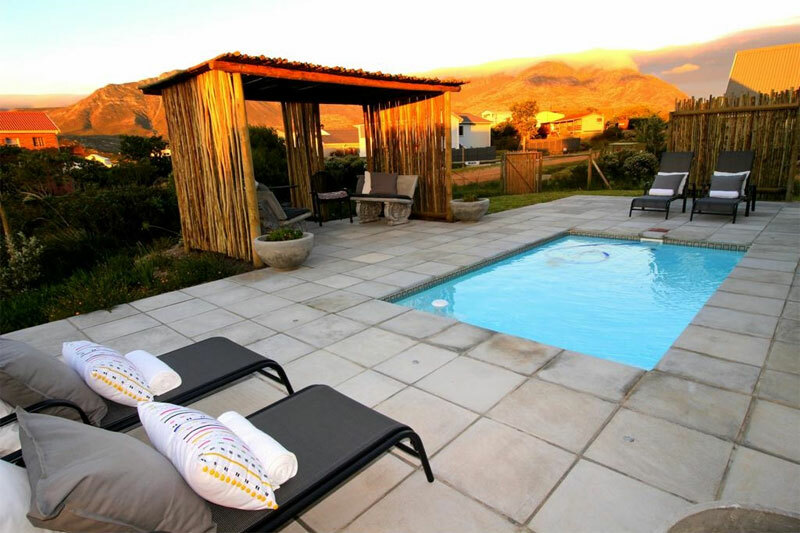 It’s the carefully planned living spaces of this poolside two-bedroom cottage (perfect for parents with teens), and its incredible views of mountains and surrounding village, that make Bay Cottage one of the best places to stay in the Overberg. 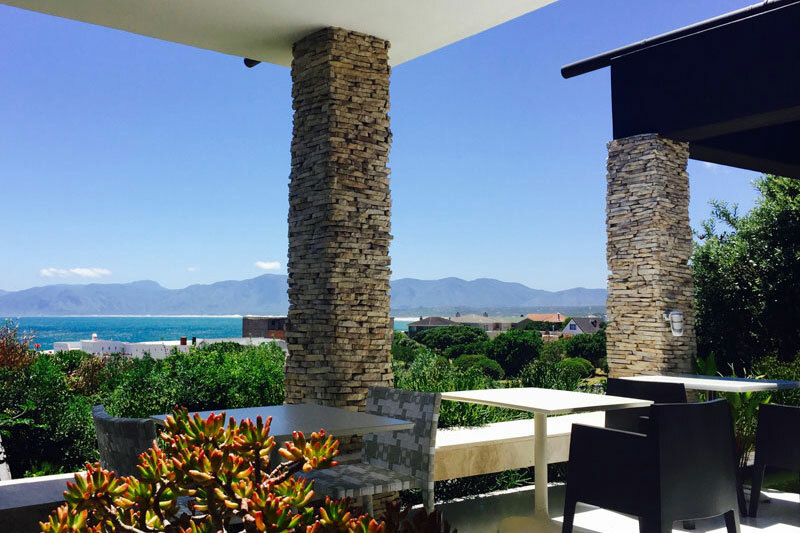 This self-catering house in De Kelders overlooks Walker Bay giving you sweeping views of ocean across an infinity patio swimming pool. It sleeps up to eight people, has three bathrooms, and is perfect for whale watching during the season. Old Mac Daddy wins our Most Unique Accommodation in the Cape Overberg award for its funky décor and unusual sleeping arrangements (trailer hotel). 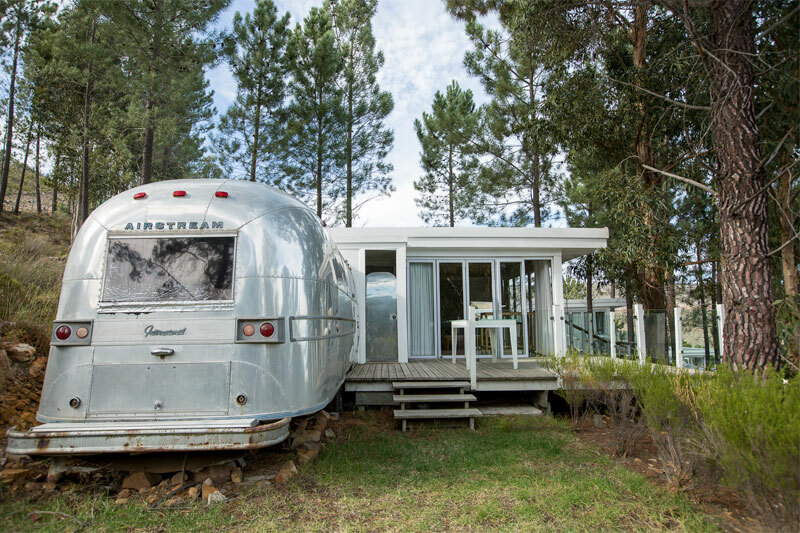 It isn’t difficult to see why this could be a novel way to experience the Overberg and why it is so popular with our guests. In true country-style romance, Wildekrans wows with its historic 1811 homestead, rambling garden and close-up views of the Houw Hoek mountains. Wildekrans make their own wines and olive oil, which they enjoy sharing with their guests. 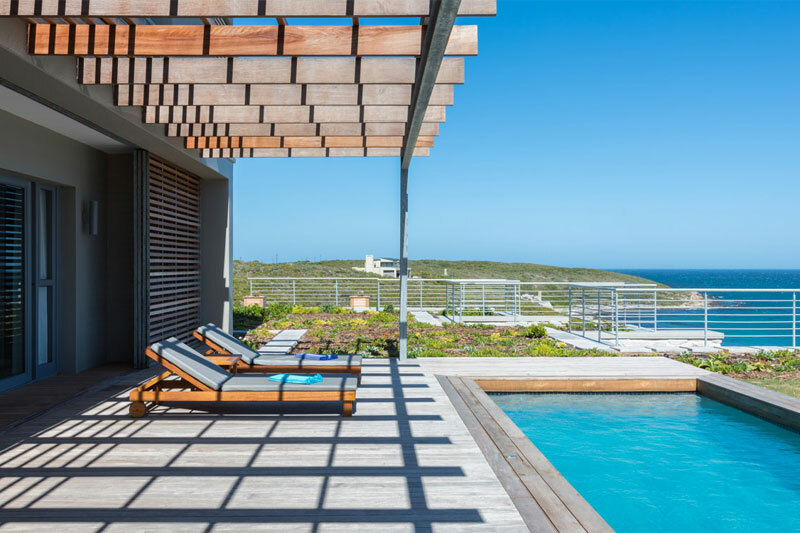 Perched up on the fynbos-clad hills overlooking Walker Bay is this six-bedroom villa in Gansbaai. 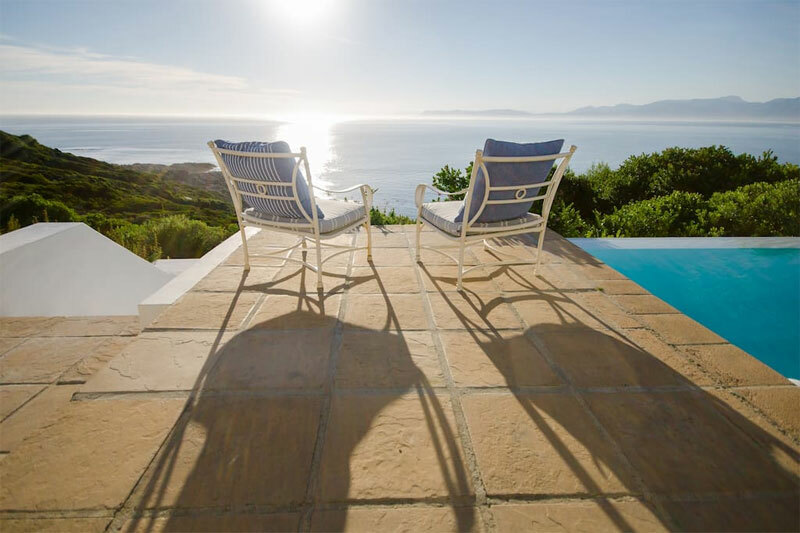 Stay at this beautiful Bettys Bay guesthouse where it lies tucked in between the mountains and the sea, surrounded on all sides by fynbos, overlooking Blesberg Dunes, the beach only minutes away. There’s even a honeymoon suite, or a self-catering apartment, both of which have access to the swimming pool. 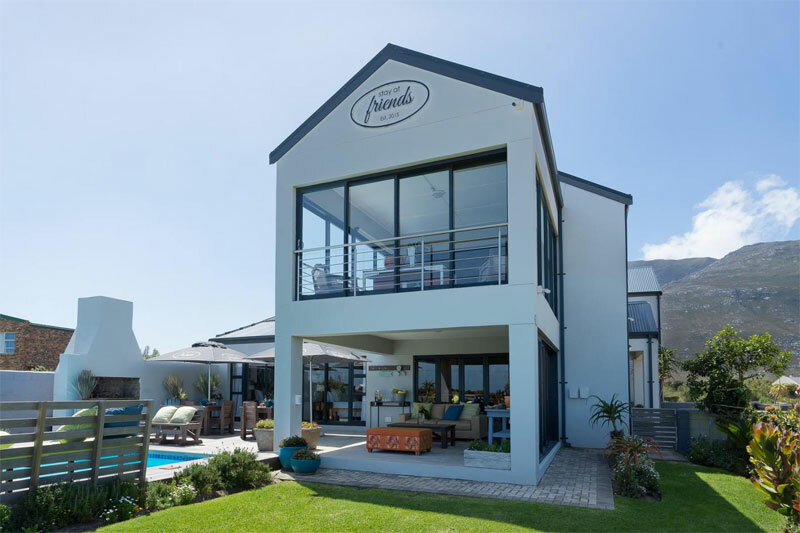 We’re more than a little in-love with this unpretentious family home available in Onrus, just outside Hermanus. It’s gentle, low-key nod to the ‘70s may fall just short of retro, but its little mountain view garden offers refuge, and you’re within walking distance of the tidal pool and coastal walkway. 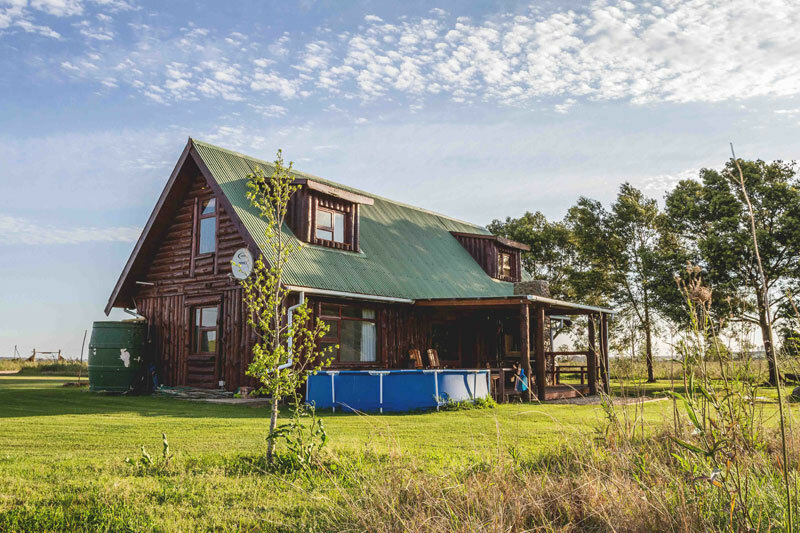 This green tin-roof clad best places to stay in the Overberg at Buffalo Creek is indeed a log home sleeping eight in four bedrooms. But you’re not going to care what the house is if you’re after a bit of tranquil – just get an eyeful of those views! Goedvertrou’s farm cottage screams farm Overberg from its thatched roof to the little bench balanced on the stoep outside the front door. The décor might be lowkey, but that’s what you’d expect from a working dairy farm that promises peace and quiet. There are a couple of historical farm cottages on this wine farm with generous stoeps, cosy kitchens and wood-burning stoves, and incredible vistas. 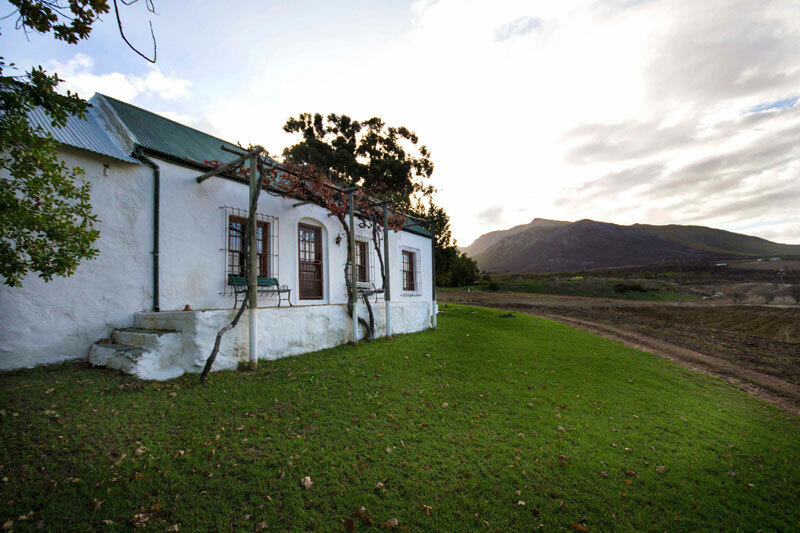 This farm does ‘pretty farm stay’ the way you’d expect from best places to stay in the Overberg. Portmanteau does retro ‘70s with aplomb. 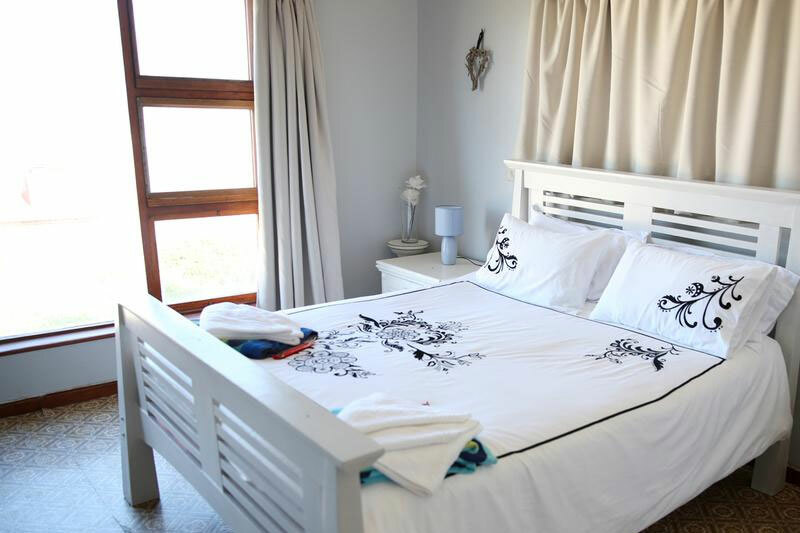 This olde worlde-style beach house in Struisbaai is walking distance to the beach and sleeps up to six guests at a time, in three bedrooms. What more do you need from an Overberg holiday? 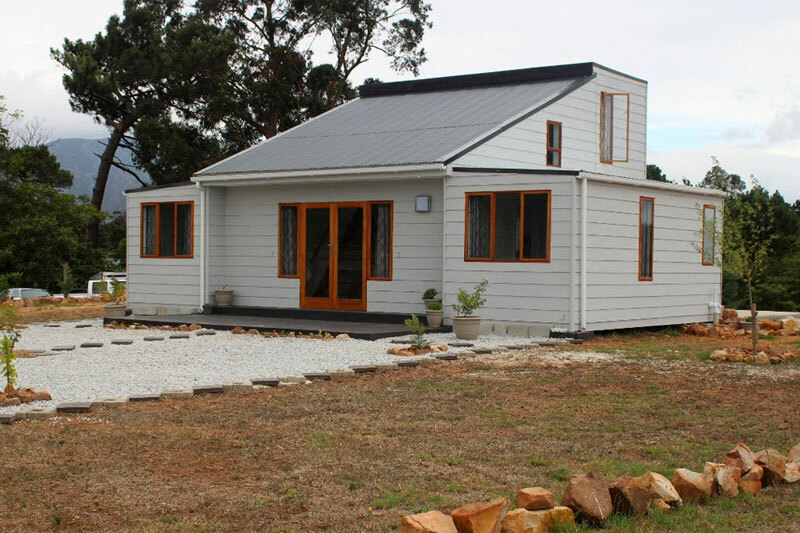 We couldn’t help but include this modern, wooden self-catering cottage on the banks of the Klip River. It sleeps up to eight, and includes an upstairs loft. Light, airy, perfect for a weekend break from it all.